The farm to table concept is one that has been wildly popular lately, but the guys behind Ah Hua Kelong feels that the term has been misappropriated, with ingredients flown in from overseas not exactly farm-fresh. 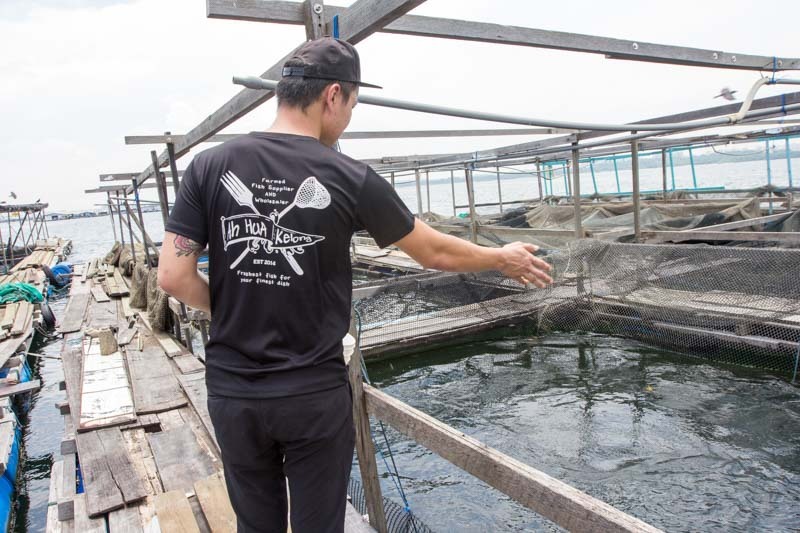 Thus, their newest restaurant concept, Scaled By Ah Hua Kelong at Haji Lane, aims to tackle this by using fresh seafood from local kelongs and seafood farms located in the Singapore waters to make their food truly worth of the ‘farm-to-table’ term. I had the opportunity to visit one of the farms operating off the shore of Singapore, and I was absolutely amazed by how kelongs work. Watching them haul baskets of mussels, clams and crabs up from the cold waters and immediately cleaning and processing them for delivery to the restaurant on the same day was captivating. I was even more excited when I knew that the freshly caught seafood will be used in the dishes that I will be trying at Scaled. 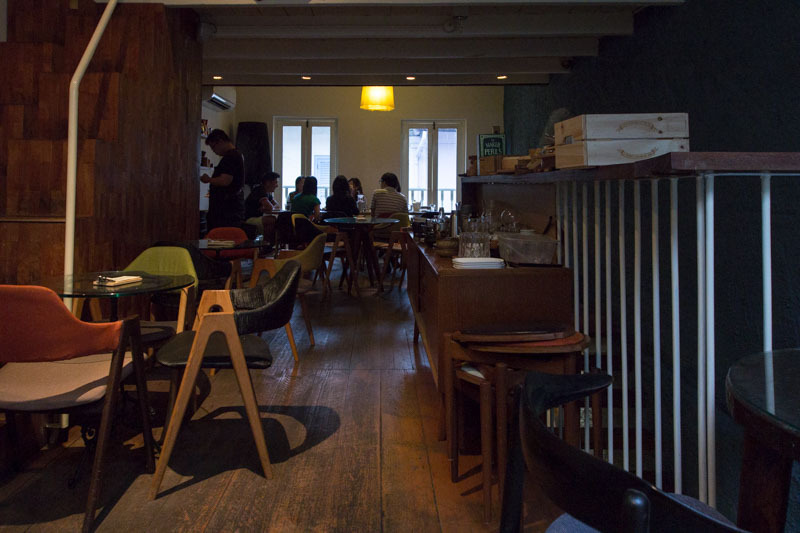 Sharing a small two-storey shophouse with Bar Stories, Scaled makes full use of this cosy space by having the bartenders at Bar Stories come up with drinks that will pair well with the fresh seafood that they serve. 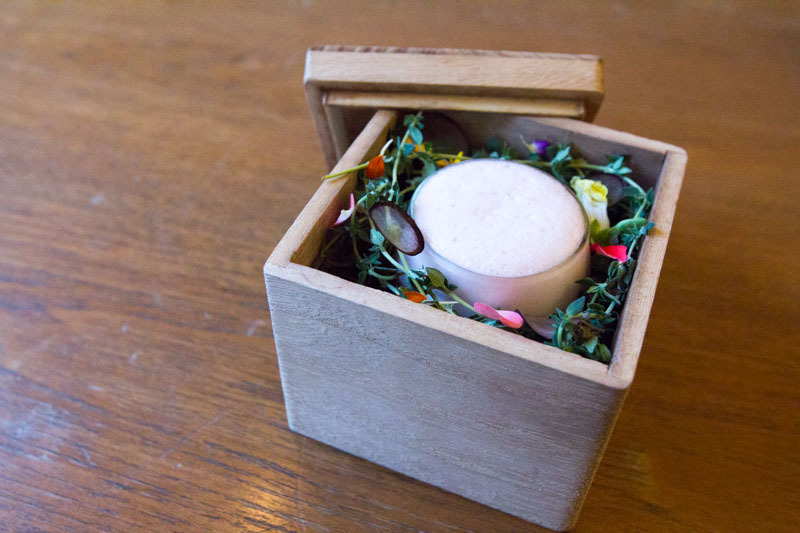 I started off with the Sakura ($25), a gin-based drink with Kyoho grapes, yuzu, lychee, sour plum and lemongrass. This was right up my alley, with plenty of herbal and citrus notes that married well together. There were hints of juniper from the gin, along with the sweetness from the grapes and lychee, and a slight tanginess from the yuzu. A perfect, refreshing drink to have before the meal. I had the Smoked Seabass Pate ($14) to start, a blend of smoked sea bass, cream cheese, dill and a dollop of tobiko on top, paired with delicious crunchy slices of lightly buttered bread. 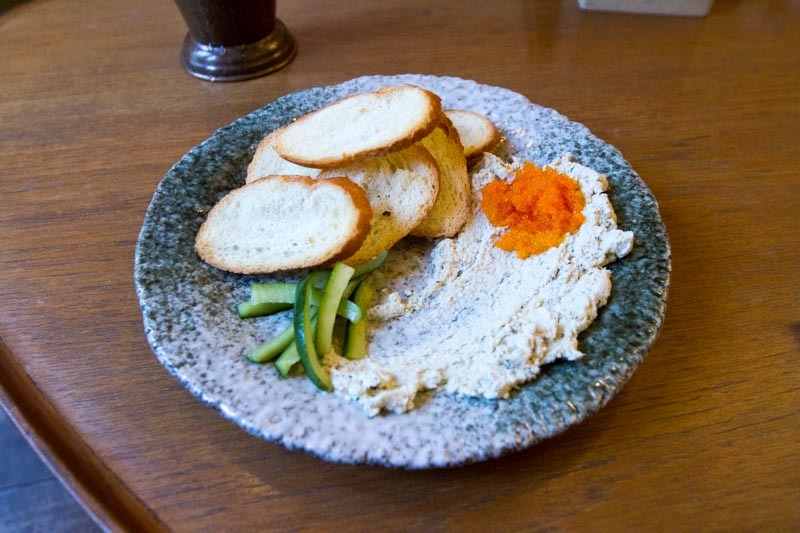 The taste of dill was strong in the pâté, and there was a nice burst of saltiness in each bite from the tobiko. The freshness of the sea bass could definitely be tasted as well, and the bread served as the perfect medium to pile the paste on. Following that up with the Locally Harvested XL Clams ($12), I daresay this was my favourite dish of the night. 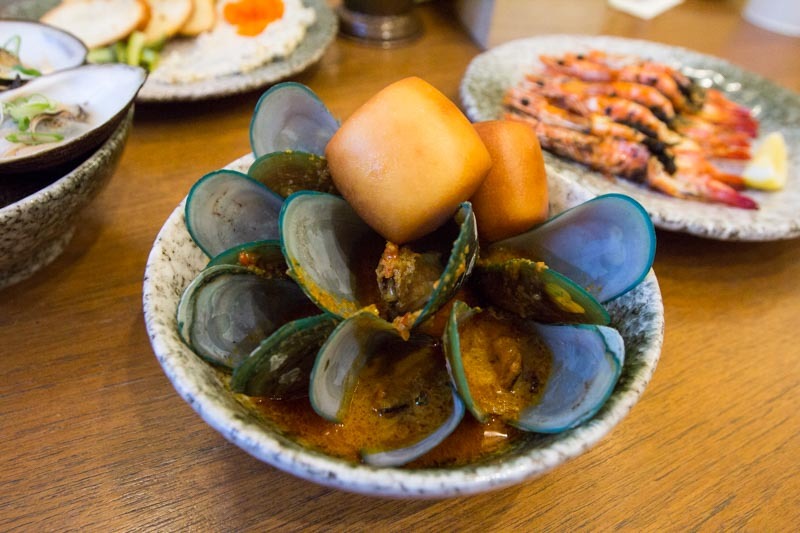 Four huge clams were served in a bowl with burnt Miso Butterscotch sauce. The clams were briny, which was followed by a savoury and sweet aftertaste from the sauce. The clams were tender, but the flavour profile was definitely a notch stronger than the smaller clams. 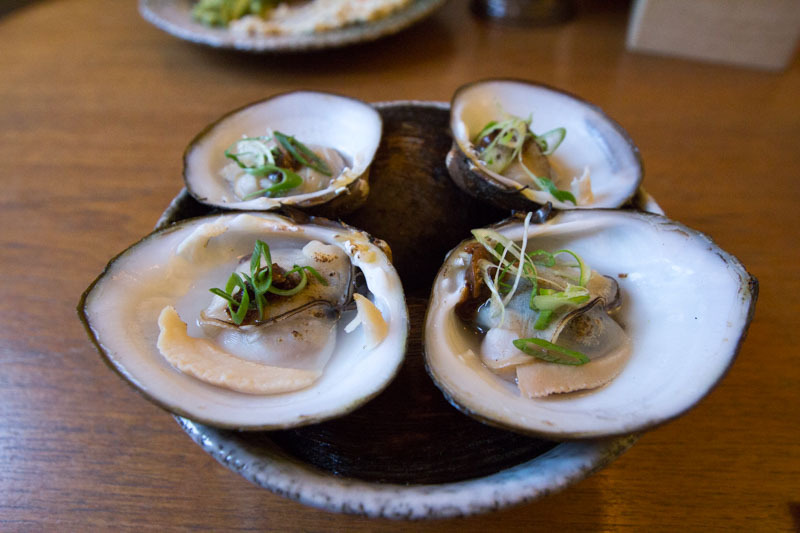 A must-try for shellfish lovers, my mouth is starting to water as I think about this dish. Another dish that I really enjoyed was the Roasted Black Grouper ($26). The slices of fish were tender and flaked off nicely. 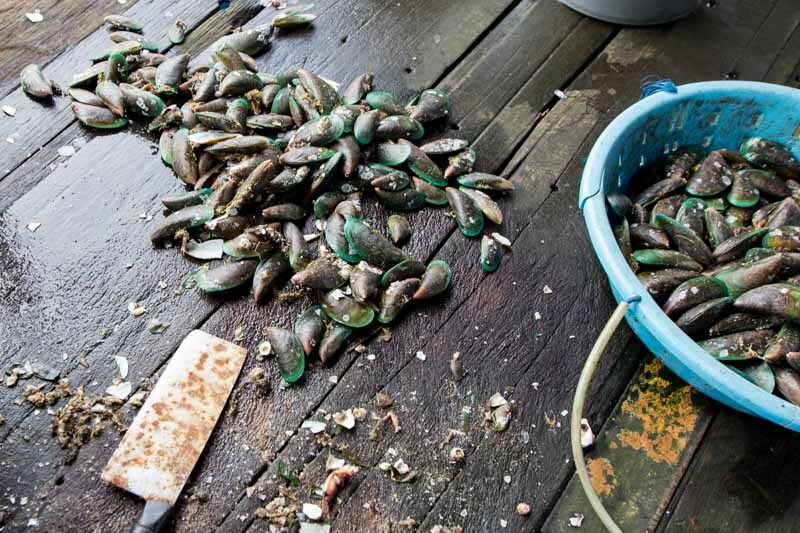 The clams used here were the normal small variety, and were fresh and chewy with a nice burst of sweetness. 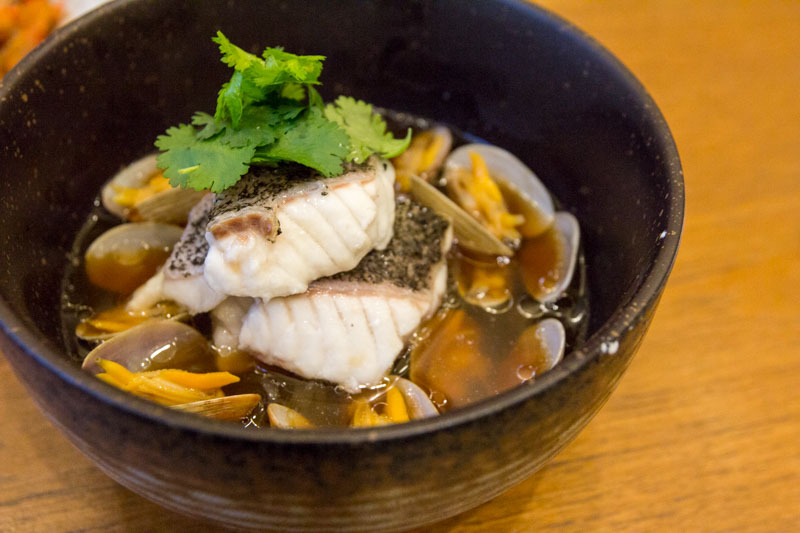 The light broth is made with soya sauce, which had hints of sweetness from the fish and clams, and went well with the chewy sweet potato noodles. If you’re looking for something with a bit more spice, try the Curry Mussels ($16 with mantou, $18 with pasta). I went with the mantous because I can never pass up on the chance to have perfectly deep-fried pillows of fluffy goodness. The curry sauce had a nice kick of heat and was flavoured with plenty of spices. The mussels were big and went beautifully with the curry and I found myself mopping up the curry with the fluffy mantous; a testament to how great this dish was. You’ll definitely have to make a trip down to Scaled, I haven’t had such great and fresh seafood in a really long time, and the best part? I’m supporting a local business every time I dine here, which makes me enjoy the food even more.